Free things to do in San Francisco with kids include several family-friendly ideas. You can watch the sea lions at Pier 39, hike a beautiful city trail, and take a close-up look at the Golden Gate Bridge. Other highlights include learning about the city's history on a walking tour, visiting free museums, and admiring our wonderful street art. My list of 20 free family activities will allow you to save a little during your stay. Every day of the year, SF City Guides offers several free walking tours that are easy to join. 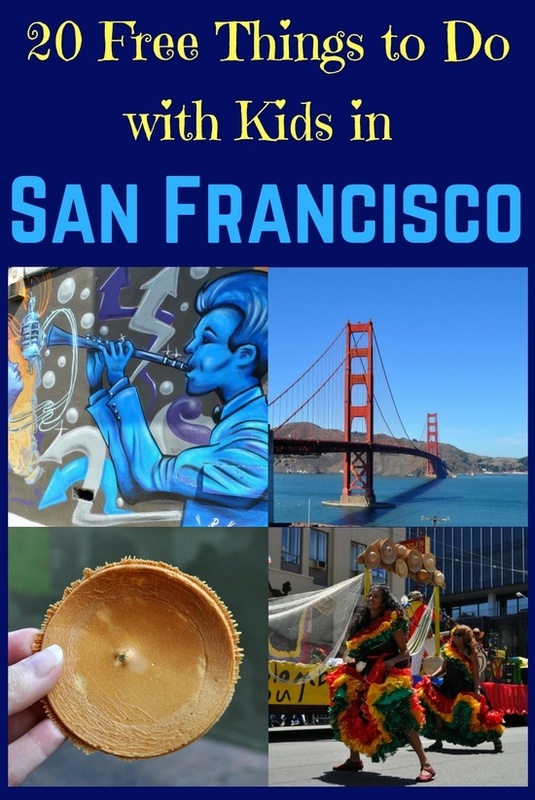 These are great for the whole family because everyone can participate at no extra cost, but especially because learning fun facts about the sights and sounds around them will make your SF vacation much more memorable for the kids. Simply check the schedule, pick the district or theme that interests you most, and head to the meeting spot. If your kids are active and enjoy the outdoors, take them hiking on the coastal trail in the Presidio district. From this trail, you'll get picture-perfect views of the Golden Gate Bridge and of where the bay meets the ocean. You'll be walking along the water's edge most of the time. Some great points to start and end along the trail are Baker Beach and Ocean Beach. One of the most popular things to do in San Francisco is ride the famous cable cars up and down its hilly streets. 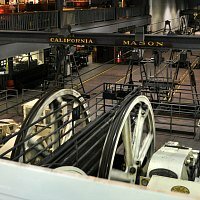 But many don't know that one of the best free things to do in San Francisco with kids is visit the Cable Car Museum. There, you'll discover the history of this unique, historic form of transportation, and the kids will love watching the big cable wheels spin, knowing that at that moment, they're pulling real life shiny red cars all over the city. This outstanding orange icon is a must-see for all visitors to San Francisco, but especially for children. Take them on a walk across the bridge so they can observe the suspension towers rising high above them, the traffic driving across (nearly 112,000 cars cross every day! ), and the beautiful bay surrounding it. Stepping foot on this architectural masterpiece is an unforgettable experience, and also makes for great family vacation photos! Spending a morning or afternoon at the Randall Museum is one of the most fun and educational free things to do in San Francisco with kids. This museum is dedicated to inspiring curiosity, creativity, and appreciation for the world around us, especially the cultures and environment of the SF Bay Area. 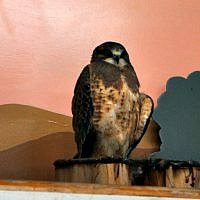 Here you'll find live animals, a woodshop, a science lab, arts and ceramics studios, a toddler playroom, a theater, and a greenhouse and gardens. Pier 39 is the epicenter of tourist action in San Francisco. It's location and layout make for a fun hangout spot on the water, close to the many small museums, restaurants, and shops of Fisherman's Wharf. Right next to the historic carousel, you'll find a stage with daily free entertainment for the whole family, including magic, acrobatics, juggling, and more. While there, I'm sure you'll notice some strange barking noises in the background. Head to the western side of the pier to watch the sea lions sleep, play, and splash. 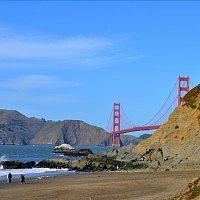 In addition to these free things to do in San Francisco with kids, you will also find some great ticket prices on Goldstar. They offer tickets for tours, events, and more at up to 50% off. It's one of the best ways to save during your stay. Here are a few of their best kid and family-friendly options. For your children, is one of the best parts about going out for Chinese food the individually wrapped fortune cookies at the end of the meal? Take them to see how these little treats are made, from the baking and folding of the golden discs to the insertion of the tiny paper fortunes. 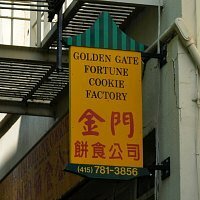 This is a delightful place to stop for a few minutes as you wander around Chinatown and learn about the Chinese American culture in San Francisco. 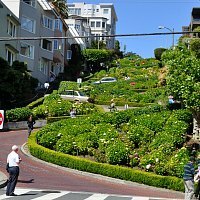 One of my favorite free things to do in San Francisco with kids is taking a stroll down crooked Lombard Street. The young ones really enjoy watching the cars zig-zag down the steep hill, following the curves of the red brick road between the beautiful green gardens. This is a quick, but memorable activity, as they've surely never seen another street like this one. From here, you can easily head to other attractions. 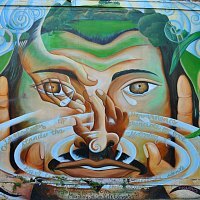 San Francisco is fortunate to have a diverse and active artist community that fills its streets with wonderful, colorful murals. You'll see street art on the sides of buildings, garages, alleys, and sidewalks. It's always fun to wander the Mission and North Beach districts in particular, as they boast a wide variety of paintings, big and small. This is fun for kids because it's like an urban scavenger hunt full of surprises, and you can talk about the artwork as you discover each one. Just as many children are fascinated by trains, the ocean and its ships are also captivating. You can learn all about them at the popular Maritime Museum in Fisherman's Wharf. 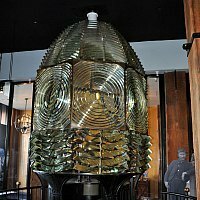 In addition to cool artifacts like old lighthouse lights, the museum and visitors' center are full of colorful murals, videos, and hands-on exhibits where the kids will learn about boats, fishermen, and marine wildlife. Afterward, head to the outside deck to get great views of Alcatraz, then stroll the Aquatic Park for a view of the Golden Gate. What little kid doesn't love fire engines and hearing about exciting adventures of firemen doing their job? 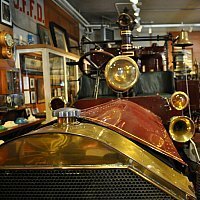 When you take your family to the SF Fire Museum, they'll learn about an important event in San Francisco history, the 1906 Earthquake and Fire, and they'll see amazing antique fire trucks and the huge bell once used as a city alarm. This little gem is located right next to a working fire station near the Presidio. If your kids are craving more experiences with ships, the Hyde Street Pier is a fantastic stop during your trip. It's home to five large vessels that are National Historic Landmarks. 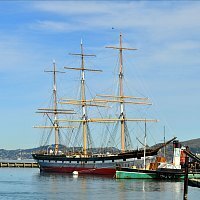 You can actually board the historic Balclutha, Hercules, and Eureka to take a close-up look and learn about how they worked and the journeys they took around the world. The pier is located in Fisherman's Wharf, near several other attractions. 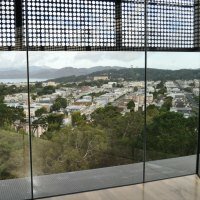 If you want to take in some great views, one of the best free things to do in San Francisco with kids is to visit the observation deck on the 9th floor of the de Young Fine Arts Museum in Golden Gate Park. This part of the museum is free to enter, even if you don't want to see the art galleries. From the tower, you can admire most of the huge park and its attractions, the Golden Gate Bridge, and downtown SF. Afterward, you can easily go just across the way to check out the popular California Academy of Sciences. That old rule "don't play with your food" definitely does not apply at the Boudin Bakery in Fisherman's Wharf. Known for its great tasting sourdough bread--which makes a perfect bowl to hold your fresh clam chowder--Boudin's products also take on really fun shapes and patterns. 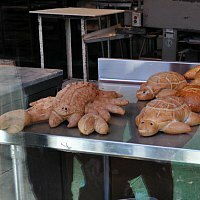 One of my favorite places to take kids is to the large window at the factory, where they can watch bakers mold the dough into crabs, crocodiles, turtles, and more, and see the golden bread animals come out of the oven. It's one of the quick, but fun things to do in San Francisco with kids. Twin Peaks is an excellent place to visit with kids, as they'll release a lot of energy and have fun hiking up the steep hill from the base of the mountain. It's a beautiful natural area full of local plant and wildlife, but the real prize is getting to the top to soak in the 360-degree views. 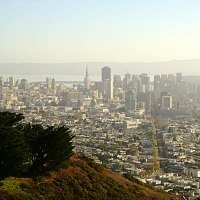 As it's located near the geographical center of the city, you'll see all of San Francisco and beyond from here, and you can take the opportunity to teach the kids that the site once served as a lookout point for the Ohlone Native Americans. 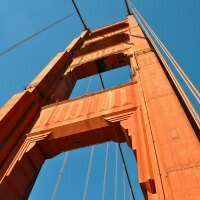 It's one of the free things to do in San Francisco with kids that will really get your heart pumping! 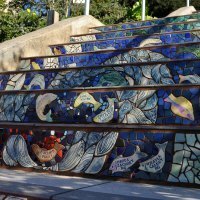 Another one of the great outdoor free things to do in San Francisco with kids is to find and climb the different mosaic staircases around the city. Each one has a unique design with colorful glistening tiles that come together to make a grand image from afar, but are also fun to examine up close as the kids climb each step. You'll see fish, flowers, butterflies, and other vibrant pictures. Head over to 16th Avenue or Lincoln Park to walk these flights. This is one of the free things to do in San Francisco with kids that they will remember for a long time to come. 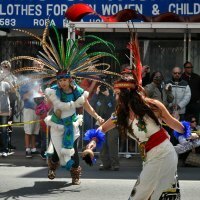 Throughout the year each year, various San Francisco neighborhoods host different parades to celebrate a certain holiday, culture, or community. Almost all of them are family-friendly events with lots of colorful entries, including dancers, bands, flags, and floats. Often these parades coincide with a street fair that offers more music, decorations, and kids' activities. These are great opportunities to expose your children to cultural traditions like Chinese New Year, the Japanese cherry blossom celebration, Irish heritage, and the Latin Carnaval. The Koret Playground at the southeast corner of Golden Gate Park is a fantastic free place for kids to run around and just be kids. 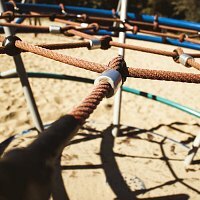 Built in 1988, this children's play area is believed to be the first public playground in the US. It's got plenty of climbing structures, slides, and green space to let loose. 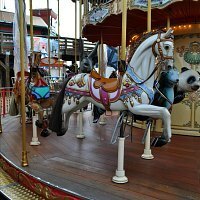 The area also houses a beautiful carousel with a menagerie of colorfully painted dragons, camels, horses, frogs, and more. The carousel is not free to ride, but it's only $1 for kids and $2 for adults. You're in California, so why not head to the beach? You won't always get warm sunny weather at Baker Beach, but you're guaranteed to enjoy the spectacular views of the Golden Gate Bridge peeking out from behind the cliffs and the water where the bay meets the Pacific Ocean. The kids will love playing in the sand, and if you come by the coastal trail in the Presidio, you'll have extra fun walking down to the beach on the Sand Ladder. This part of SF is tucked away from the rest of the city, making for a nice afternoon retreat. 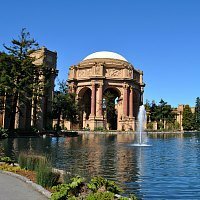 One of my favorite free things to do in San Francisco with kids is to head over to the park at the Palace of Fine Arts building and have a picnic while taking in the view of the lake, the trees, and the Roman architecture. This historic building is the only part of the 1915 Panama Pacific Exposition that remains, because it was just too beautiful to tear down. This is a peaceful place to take the family, and it's fun to watch the kids feed the birds and look up in awe at the large ornate columns. These free things to do in San Francisco with kids will keep your entire family busy for days. 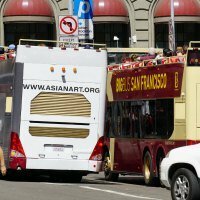 However, if you want to explore some of our top museums, head out on a bay cruise, and use our public transit system frequently, then I recommend looking into the SF CityPass. This attraction pass offers you discounted admission to some of our top museums. It includes access to the California Academy of Sciences, the Exploratorium, and the Aquarium of the Bay. It also includes a ticket for a 60-minute bay cruise. Another great benefit of this pass is that you get a multi-day Muni pass. This allows you ride the buses, street cars, light rail trails, and the cable cars as much as you like for no additional cost. It will make getting around town easy and very inexpensive. Make your visit easier by using the Hop On/Hop Off Bus Tour to get around town. The bus allows you to cruise from attraction to attraction and spend as much time, on your own, at each one. The one I recommend features 17 stops in San Francisco. 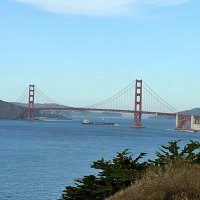 These include stops in Chinatown, Fisherman's Wharf, Haight Ashbury, Golden Gate Bridge, and more. The entire loop takes around 2 1/2 hours, but you can get on and off at any stop you want. Select from the 1-day or 2-day option. 7D Experience: The 7D Experience is a fun activity at Pier 39. This part video game-part movie features distinct experiences for everyone in your family. Read more and find discounted tickets. Cruises Around the Bay: One of the must-do activities with kids is a bay cruise. Your best pick for the family is the 60-minute Bay Cruise Adventure. It leaves from Fisherman's Wharf several times a day. Find details here. Exploratorium: The Exploratorium is a more expensive option, but well worth the money. This science and human perception museum offers you and your family a chance to play around all day as you learn about everything from sound to cells. Find details to visit. 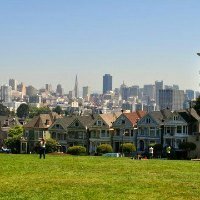 More Things to Do with Kids in SF: If you are looking for additional recommendations, this is where you will find my list of the 25 best things to do with kids.